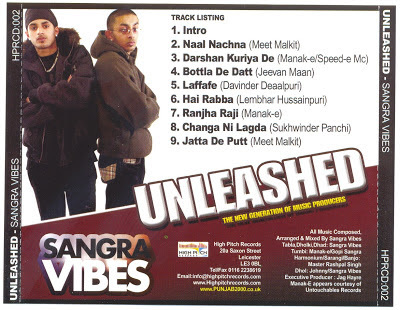 Sangra Vibes The Be(a)st Producers Break into the UK Bhangra Scene with this Massive and Out of the box Album released in 2005! Unbeatable Basslines, cute bollywood samples that nobody might have thought to hear in a bhangra album, but sadly mani sangra of the duo is no more with us, this album is pure talent of the duo which surprised all desi people around the world. This album is IMMORTAL!